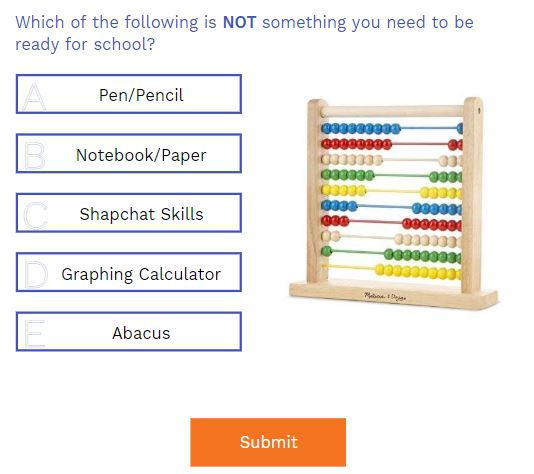 As we head back to school, we thought it would be fun to help get your students ready with this engaging and interactive quiz. In this activity, your students will have the chance to learn and reflect on strategies for success. While we created this activity for the math classroom, it can easily be adapted for any subject. In fact, the first four of six tasks contain no math. To customize this activity to meet your individual classroom needs, select “copy” and edit away in your account! The scratchpad is a helpful tool for hints, bonus problems and language supports. This task has a definition of an abacus in case that is a new word for your students. 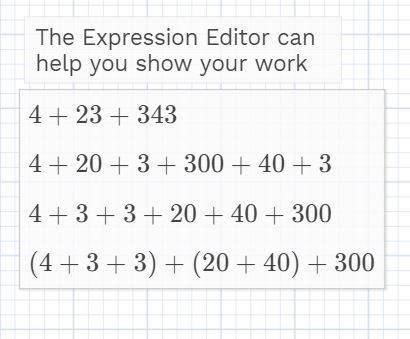 Adding support in the scratchpad can help prevent language from being a barrier to students’ math success. Task 2 is a two-for-one (a twofer!) with students reflecting on important strategies for school success and practicing productive turn-and-talk with a partner. After students have talked for a few minutes they can enter their ideas in the short answer box. Task 3 lets them practice the tap on their favorite strategy for school success. It is fun and will result in some lively discussion if you take some time to discuss the resulting heat map of student responses with the entire class! Task 4 is like that game two truths and a lie, except there are two lies and only one truth. 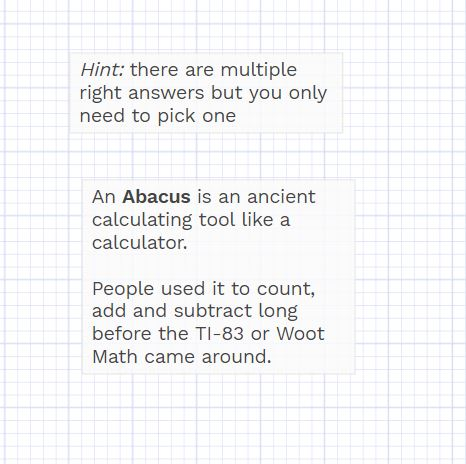 Here at Woot Math, we encourage students to show their work (so A is not true) and we sometimes have tips and hints in the scratchpad (so B is not true). We also believe in second chances and let students go back and change their submission as long as the teacher hasn’t revealed the answer yet (so C is true). Ideally students read option B and look to the scratchpad to see if there are any helpful tips. The hint suggests they try submitting and then changing their answer to test if C is the correct answer. If all goes well, your students will be forming hypotheses, gathering data and drawing conclusions. Hey wait a minute! This is starting to sound more like science class than math. Task 5 gives them a math problem to compute an area from a length and a width. This task has them practicing how to use the calculator tool in the scratchpad to show their work. 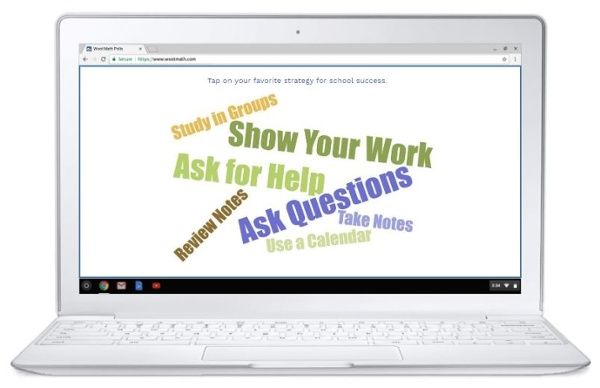 Note that when you create activity like this one, you can control which scratchpad tools your students have access to by going to Scratchpad Settings. You can learn more about customizing student tasks here. This is also a good reminder for them that units matter and sometimes a problem will have two blanks, one for the number and one for the unit. The correct answer for the units here is “square feet” but Woot Math also accepts “feet squared” “ft^2” and “sq feet”. Multiple correct answers are separated by a semi-colon (AKA winky face ;). This problem also allows for up to 1 typo. Notice how the bonus problem asks them to make a typo deliberately to see if they still get it right. Having students understand how Woot Math evaluates their work can be helpful. The final task has them practice showing their work in the scratchpad. The example given demonstrates one of many methods for solving the problem. The three numbers are broken down into the 100s, 10s and 1s, grouped and then added. Encourage your students to try an alternate strategy. This activity is a fun and engaging start to the Fall. We hope you enjoy it, and we wish you and your students a terrific new school year! 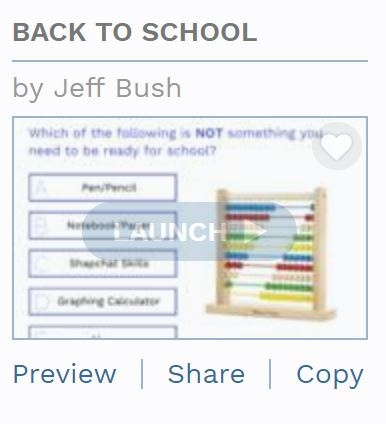 Get started by previewing the poll right now, or login to wootmath.com and search for Back to School in the Shared Gallery. Visit our page on Formative Assessment for more information on implementing these strategies in your classroom.